There will be full Moon and the lunar eclipse or Chand Grahan on 16th September 2016. The final Lunar Eclipse of the year 2016 will be witnessed by the people around the world. 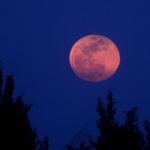 The continents including Europe, Australia, Asia, West in South America, Pacific, Atlantic, Indian Ocean, Arctic, Antarctica, and Africa will see the Harvest moon eclipse (In skylore, the Harvest Moon is the full moon nearby to the autumn equinox, usually occurs in September, may also happens in October depending on occasion) on Friday night, whereas South America and North America will not be able to see the third and final chand grahan of the year 2016. The people will living in South America and North America will have to wait until 2017 for watching the Lunar Eclipse. The full moon in September, named as harvest moon because it’s a time when farmers are all set to harvest their crops. The full moon in September had also got different names like the Barley Moon, the Worm Moon, the Full Corn Moon and the Crow Moon. The third chand Grahan of the year 2016 will be a Penumbral lunar eclipse (A penumbral lunar eclipse happens when the Sun, Earth, and Moon arrange in almost in a straight line.) and will different from a total eclipse. In the third lunar eclipse or chand grahan 2016 the full moon will pass through the umbra, or the blackest part of the Earth’s shadow, and the moon will turn into red and orange color. The third lunar eclipse 2016 will be visible to everyone without any special equipment. In other words people will see the chand grahan with their eyes. The penumbral lunar eclipse will happen at Friday night, 16th September 2016, starting at 09:55 pm. The lunar eclipse or chand grahan will be visible in the different cities of Pakistan including Lahore, Karachi, Multan and other cities. The duration of the Lunar Eclipse in Pakistan will be of 3 hours. The Pakistan Meteorological Department (PMD) said that the lunar eclipse will occur in the country starting from 09:55 pm and will last nearly at 1:54 PM. So the duration of chand grahan will be exactly three hours, 59 minutes and 16 seconds. The weather may cause hurdle during the witness of the lunar eclipse in Pakistan but the sky will clear in different regions of the country including, Upper Punjab, Sind, South Punjab Balochistan, and Azad Jammu and Kashmir, according to PMD. A detailed map provided by NASA shows the complete information regarding Lunar eclipse 2016. Well for the desperate Lahories the chand grahan will be visible in Lahore as the weather condition is good. The full moon will be there and the people of Lahore will witness the entire moon eclipse. The Lunar eclipse or chand grahan 2016 will also be visible in the different cities of India including, New Delhi, Pune, Agra, Uttar Pardesh, Hyderabad, Telangana and other cities. The chand grahan in India will took place at 10:24 PM of Friday night and will end at 2:23 am. The second Lunar Eclipse of the year 2016 occurred on 18th August 2016, but most of the viewers were not able to witness the Chand Grahan because according to monitoring agencies, the Lunar Eclipse was nearly be visually unnoticeable. Only the viewers in Pacific Ocean near continents Australia and the Americas were to witness the Chand Grahan. The monitoring agencies had said that the chances of seeing Lunar Eclipse were very rare. The lunar eclipse or chand Grahan will be visible in different countries of the world of the world including Kuwait, Singapore, Jerusalem, Israel, Kazakhstan, Cairo, Egypt, etc.